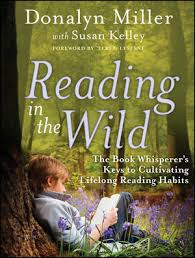 I just finished reading the book Reading in the Wild by Donalyn Miller with Susan Kelley. 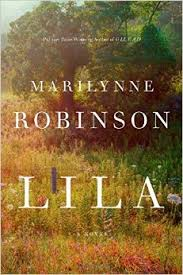 I typically don,t read professional books, actually I tend not to read nonfiction, come to think of it, but I saw this book at our book fair in the fall and it caught my attention. I picked it up, skimmed through it and just recently started reading it. Yes I know...it took me awhile. As I said, I struggle with reading books in my profession. I find them boring. This book really had my attention. Which surprises me even still, considering one of the authors teaches middle school and I teach first grade, and much of the book references teaching middle school-aged students. However, I learned many things from the book that really have changed the way I will teach reading and what reading will look like in my classroom. I used to consider myself an avid reader. I always had a book in progress and others on hand for when I finished and the book went with me everywhere. And then....I started working full time, had children, the smart phone came into existence, and, well...I could come up with 100 excuses I guess. 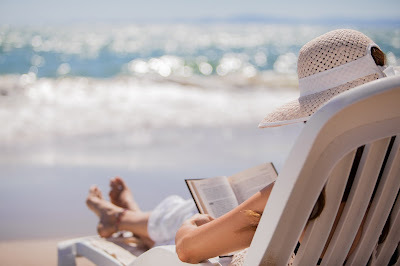 The bottom line is, I stopped making time for reading. Now I am out of the habit and it's hard to sit down and focus and let myself read. I find myself checking email, Facebook, scrolling Instagram, and just getting easily distracted. If I have 20 minutes or I'm waiting for one of my kids at an appointment I am more apt to break out my phone than a book. If there is one thing I know, it is that I am a better teacher because I am a reader. Is there any wonder that my first graders feel the same? Put them in a classroom with 20 other kids and surely....there's distractions. But they need to learn reading habits early so no matter what...we need to make time for independent reading. I used to sometimes skip independent reading time, thinking some of my first graders couldn't handle it, or the ones who struggle with reading just goof around the whole time, but they need to see good reading habits modeled. Did you gasp too when you read that?! I sure did. So...I've been doing reading logs for as long as I can remember. How will I know if they are actually reading, if they are reading long enough, and so on? If they are wild readers they'll want to read. Period. Wild readers may sneak in reading here and there. Maybe they'll read while waiting for their dentist appointment, on the bus ride home, while their brother finishes clarinet lessons, or just before falling asleep. Do you want to write down everything you read and for how long? Then we probably shouldn't make our students, right? Wild Readers Take Advantage of Time- I think my students believe that when I say to read for at least 20 minutes a night it means that they must be sitting on the couch reading for 20 minutes straight. But it doesn't have to be that way. Maybe you read for 10 minutes while you wait for your dance lesson to start, and read another 10 minutes while Dad cooks dinner. Maybe you sneak in 5 minutes here and another 15 there. It doesn't need to be all at once. 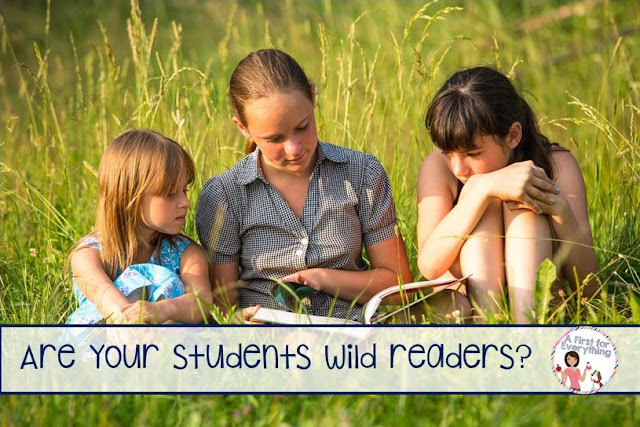 Wild readers are just wild about reading and read whenever they can. 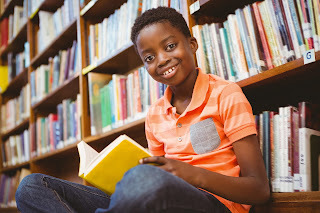 Some of your students may need you to remind them or confer with them about times when they can read at home, especially if reading isn't something that is modeled for them at home. You can even make an anchor chart of places where you can read during a class meeting. My son has dyslexia so when he does his reading at night, I make sure to put my laptop and phone away and read alongside him. I'm reading my own book, modeling good reading habits, and modeling how I make the time to read. I sit at the same spot on the couch with my blanket and a cup of tea. Reading looks and is enjoyable to me and I model that. Sit in the same spot daily- When I read, I sit in the same spot of the couch. Most people have a favorite spot in their house to read. You can assign students a spot to read during Reader's Workshop and they can read in that same spot daily. I have found that this helps limit distractions. Let Students Choose the Book they Want to Read- I used to give my students a "shopping list" of books. The list included 7 books at their reading level, and 2 above. But do we really want to choose books that we are told we need to read? I have found that most nonreading behaviors stem from students having books that are not engaging for them. I am much more apt to read a book that I am interested in, how about you? In January, I announced that students could choose 10 books from any of the book bins in our classroom library that they wanted. You would have thought I offered them a car! They were sooooo excited! This doesn't mean that you can't guide students towards making choices that would be a good fit for them, but giving them the power of choice can help them to become wild readers when they are invested in what they read. Try to Determine Reasoning Behind Nonreading Behaviors- If you notice students not reading during reading time, confer with them to discuss why. Are the books they have chosen too hard? Too easy? Not interesting? Does their seating arrangement need to be reconsidered? If the student admits that reading is a struggle, find out why. Maybe some students would benefit from reading in a small group with you for confidence-building, correct modeling, or behavior management, until they can be on their own. 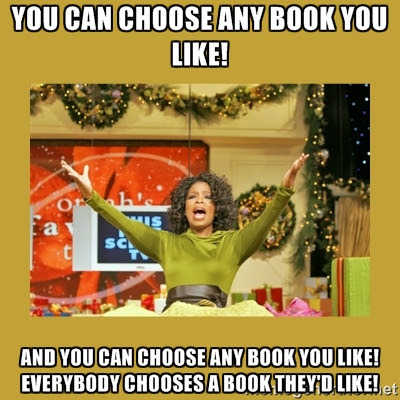 What you want to determine is- is the nonreading behavior habitual or book-related? Confer with Students to Set Attainable Goals- Meet with students to have them discuss with you what their reading goals are. Is their a certain book or book series they want to read or become a good enough reader to be able to read with ease? Is their goal to be able to lengthen their reading stamina or increase their interest in different reading genres? 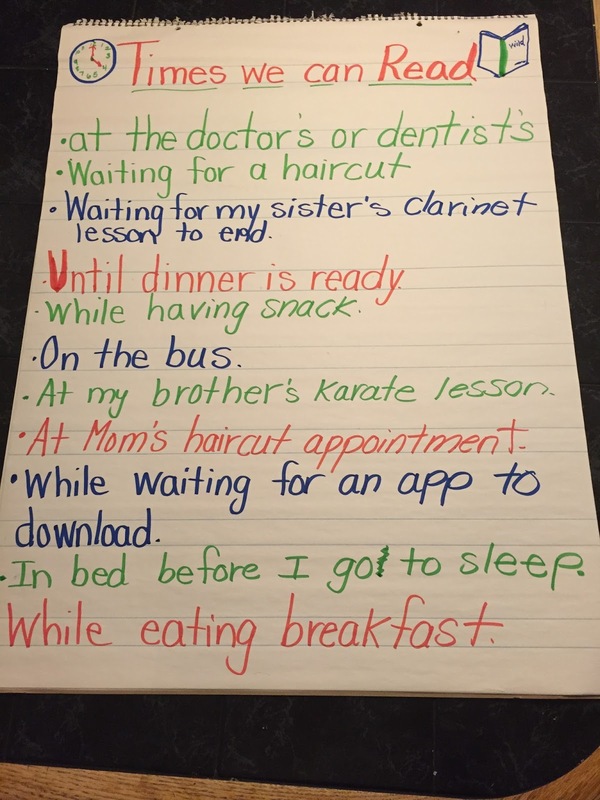 By setting goals, students have something to work towards and are establishing themselves as readers. Book Reviews- Students can share book review based on works they have read. For my artistic students this may be a diorama, posterboard, or cereal box book report. For my writers, it is a written book review. For some students, they prefer to just talk about a book they liked or didn't like and why. 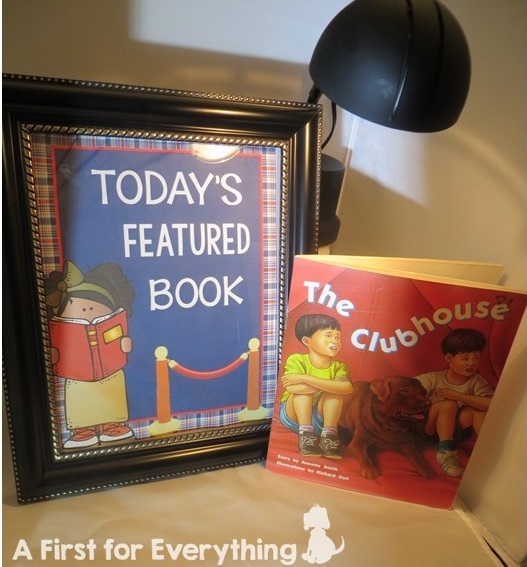 After students share their book and book review, the book is added to a special spot in our classroom under a desk light as the day's or week's featured book. Other students can read this book as long as they return it to the featured spot and books are rotated frequently. Wild readers share books with others. Talking about books heightens interest. You can get the "Today's Featured Book" or "This Week's Featured Book" file for free here. Model Reading Yourself- When my students are doing independent reading I am on the floor reading too. I am not correcting papers, answering emails, or even listening to students read in small groups. I am modeling expected reading behavior. My students know and identify me as a wild reader. They know I have a book in my purse at all time. During independent reading time, I get out my purse, take out my book, and find my reading spot and I read right along with them for 20 minutes. I am communicating to them that I value reading. That I am expecting them to do something that I do myself. Share your Reading Goals, Mistakes, Challenges, and Accomplishments- Help your students know that you face the same challenges that they do- lack of time, books that didn't interest you or genres you didn't like. Share your goals and help your students make connections to you as a reader so they can also see themselves as readers. 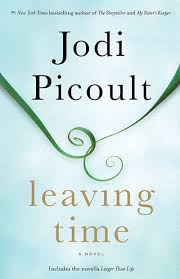 I bought this book this weekend, knowing I was going to finish Leaving Time quickly, and I have already started it. and to read at least 12 novels by summer's end. What are your reading goals? 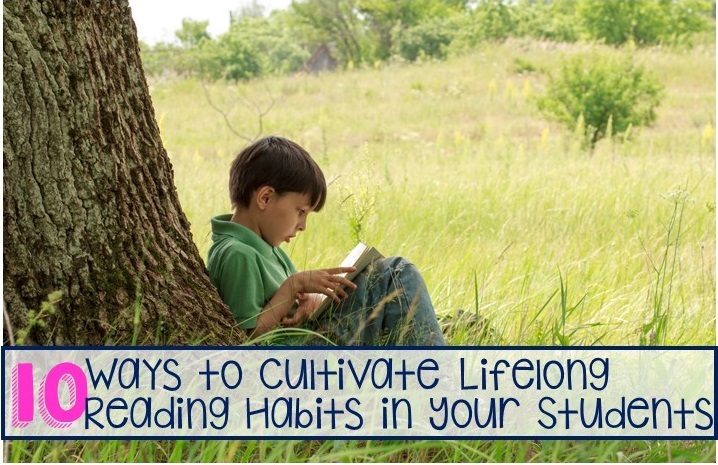 What reading goals to you have for your students?